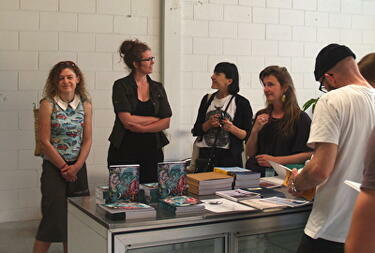 A photograph of the public launch event for The Wet Issue by Freerange Press. 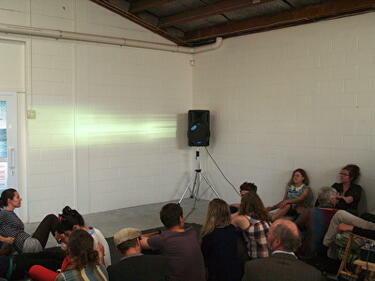 People are gathered to watch a water-inspired visual and sonic artwork by Olivia Webb and Noel Meek. The event was held at Space Academy as part of FESTA 2014. 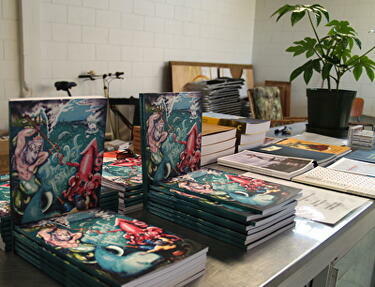 A photograph of The Wet Issue by Freerange Press, on display at the public launch event. The event was held at Space Academy as part of FESTA 2014. 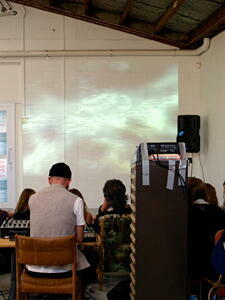 It was accompanied by a water-inspired visual and sonic artwork by Olivia Webb and Noel Meek. 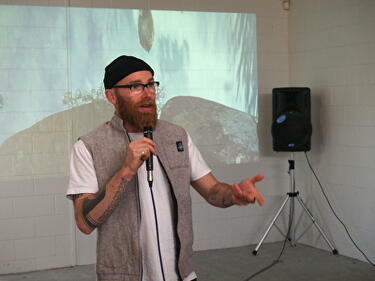 A photograph of artist Noel Meek giving a speech at the public launch event for The Wet Issue by Freerange Press. The event was held at Space Academy as part of FESTA 2014. 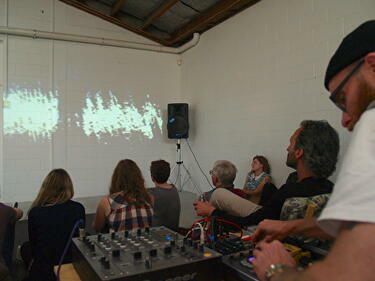 It was accompanied by a water-inspired visual and sonic artwork by Olivia Webb and Noel Meek. 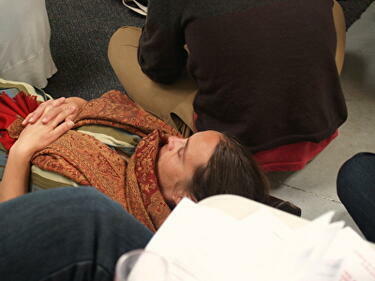 A photograph of someone reading a copy of The Wet Issue by Freerange Press, at the public launch event. The event was held at Space Academy as part of FESTA 2014. 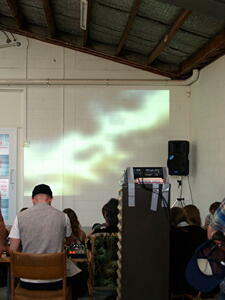 It was accompanied by a water-inspired visual and sonic artwork by Olivia Webb and Noel Meek. 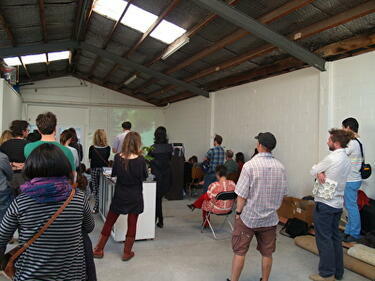 A photograph of the public launch event for The Wet Issue by Freerange Press. The event was held at Space Academy as part of FESTA 2014. It was accompanied by a water-inspired visual and sonic artwork by Olivia Webb and Noel Meek. 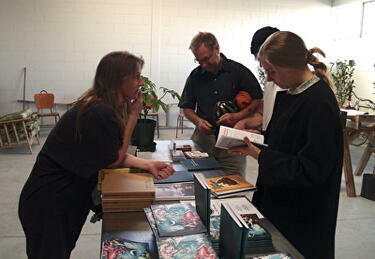 A photograph of the public launch event for The Wet Issue by Freerange Press. 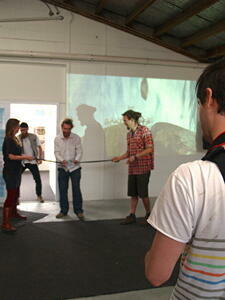 The journal is being 'launched' with an elastic tie by Freerange Press director Barnaby Bennett. The event was held at Space Academy as part of FESTA 2014. It was accompanied by a water-inspired visual and sonic artwork by Olivia Webb and Noel Meek. 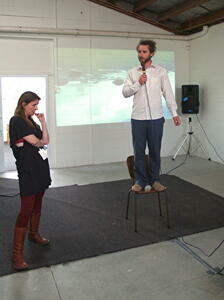 A photograph of Freerange Press director Barnaby Bennett standing on a chair to give a speech at the public launch event for The Wet Issue by Freerange Press. The event was held at Space Academy as part of FESTA 2014. It was accompanied by a water-inspired visual and sonic artwork by Olivia Webb and Noel Meek. 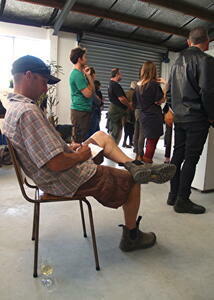 A photograph of the public launch event for The Wet Issue by Freerange Press. 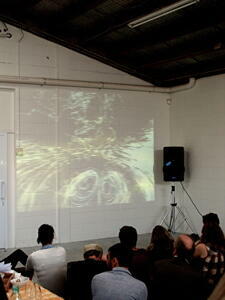 The attendees are watching a water-inspired visual and sonic artwork by Olivia Webb and Noel Meek. The event was held at Space Academy as part of FESTA 2014. 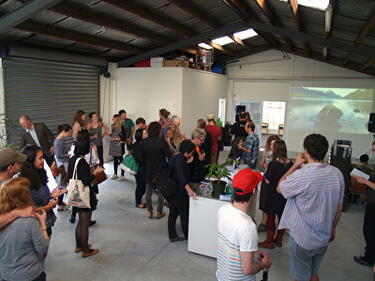 A photograph of the public launch event for The Wet Issue by Freerange Press. 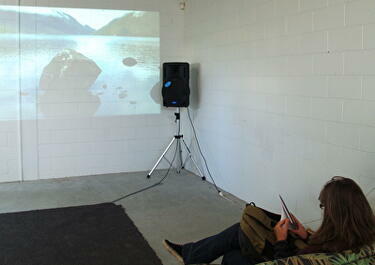 Attendees are watching a water-inspired visual and sonic artwork by Olivia Webb and Noel Meek. The event was held at Space Academy as part of FESTA 2014. 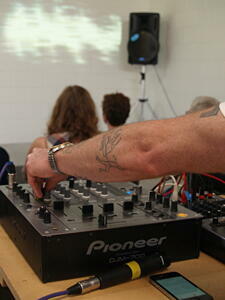 A photograph of artist Noel Meek behind the sound desk at the public launch event for The Wet Issue by Freerange Press. The event was held at Space Academy as part of FESTA 2014. 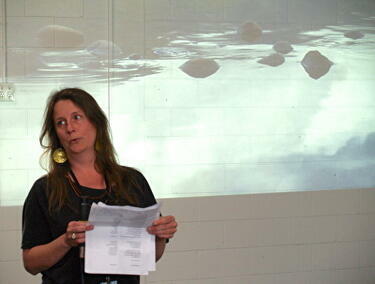 It was accompanied by a water-inspired visual and sonic artwork by Olivia Webb and Noel Meek.